BERING 14440-002 is a Mens watch within the Classic Collection, part of the 14400 - Solar Series. This watch has a Round Brushed Black Stainless Steel case with a 40mm case diameter. The case back is Stainless Steel and the bezel material is Stainless Steel. This timepiece also has Quartz movement with 3 Hand functionality. This Analog Black dial features Luminescent Black Arabic and Luminescent Index with Luminescent Black Baton hands. A Sapphire crystal protects this BERING 14440-002 timepiece. 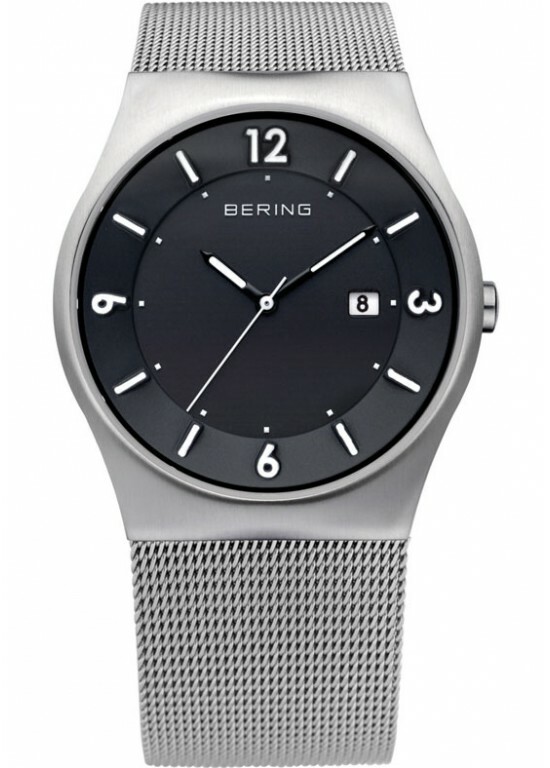 The bracelet of this BERING 14440-002 is made of Silver Mesh Band. This watch is water resistant up to 50m/165 Feet.